Ontario Bakery: Why Choose a Neighborhood Bakery When Grocery Stores Can Make the Cake? Why Choose a Neighborhood Bakery When Grocery Stores Can Make the Cake? No one can resist that smell of a warm freshly baked cake. No matter the occasion, it’s sure to bring back fond memories of celebrations throughout your life. And that’s why we are dedicated to creating the most beautiful and delicious cakes possible for the events in your life that matter most. We at Ontario Bakery take pride in the quality we provide and today, we wanted to take a moment to share a little piece of our story with you. We are located in Southern California and are a neighborhood style, family run bakery that started out of a desire to provide a place for you and yours to get the perfect customized cake, cupcakes and other treats to celebrate your special day, without loosing the homemade quality and care. As a family and bakery, we are still committed to going above and beyond. Our cake and butter cream recipes are the original scratch recipes that we've used since the beginning. 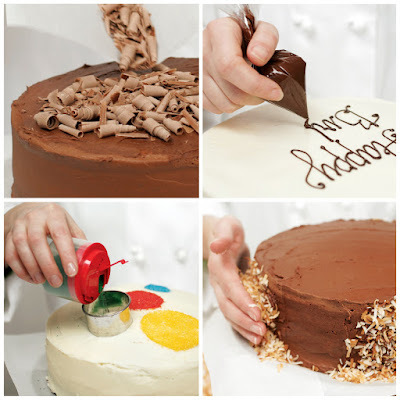 The cakes we make, say it all: quality, uniqueness and a true desire for a good tasting cake to serve your guests. Your guests just might think grandma made it! Sure, you could go to the grocery store, but you'll be missing out on that family to family, 'just like grandma's cooking' benefit. You'll miss out on the smiles, the warm smells and the personalized experience. You'll miss out on the promise of treating you like a person that matters and a vision we're dedicated to creating. Our cakes are made to order with the options of various icings and even a long list of fillings that are sure to make you come back for more! 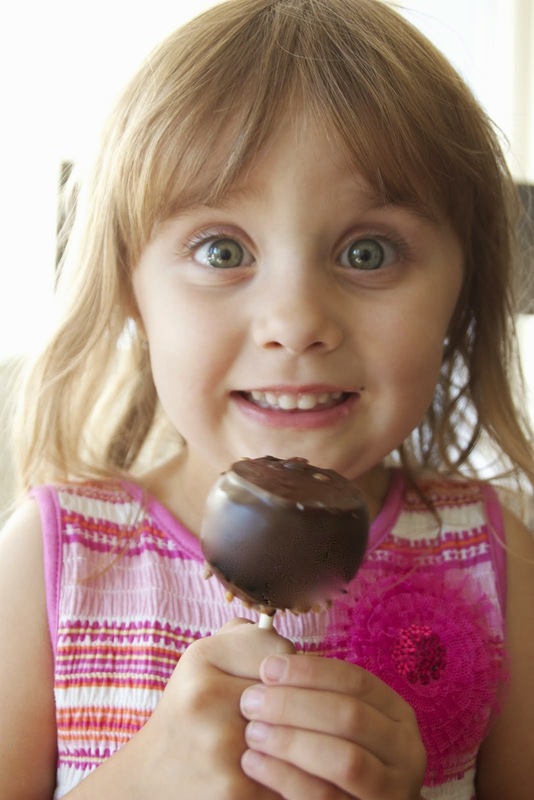 Whether birthday, wedding, shower or graduation.... You name the event and we’ll provide the sweet side! 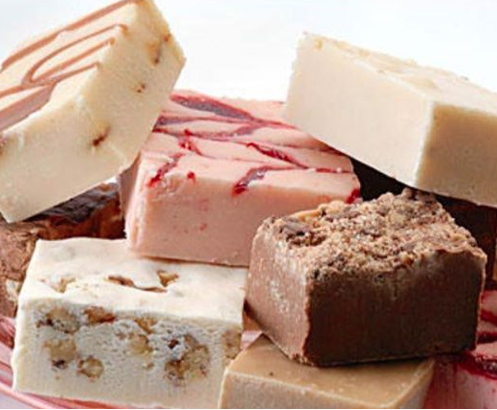 We are honored to be your top choice in celebration sweets! Allow us to personalize it with the perfect topper, floral arrangement and even action figure! This is your day and we just want to treat you right! Please! Don't hesitate! 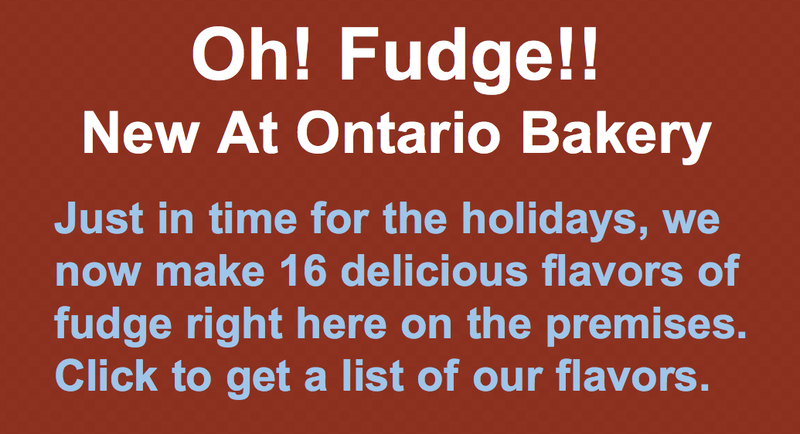 Come say hello and meet our cake stylists at Ontario Bakery and see what we can do for you!